I had browsed through a few online job sites just to see who is hiring. 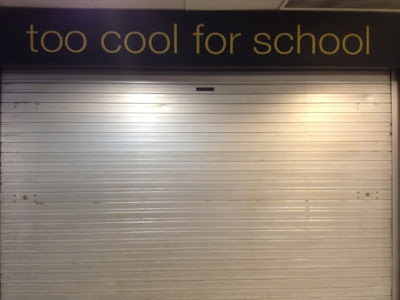 And yeah - saw that Illamasqua and Too Cool For School are both hiring Makeup Artists in Singapore! Which means - both brands will be launching soon. Illamasqua is a famous UK cosmetic brand famous for its intense colors and dramatic makeup. Too Cool For School is a Korean brand that is well known for its cute packaging that revolves around a school inspired theme. Not sure yet where and how many locations will they be at in Singapore but I chanced upon Too Cool For School store which is under renovation at level 3 Far East Plaza.